Pink Garlic (Allium sativum): growing, planting, caring. 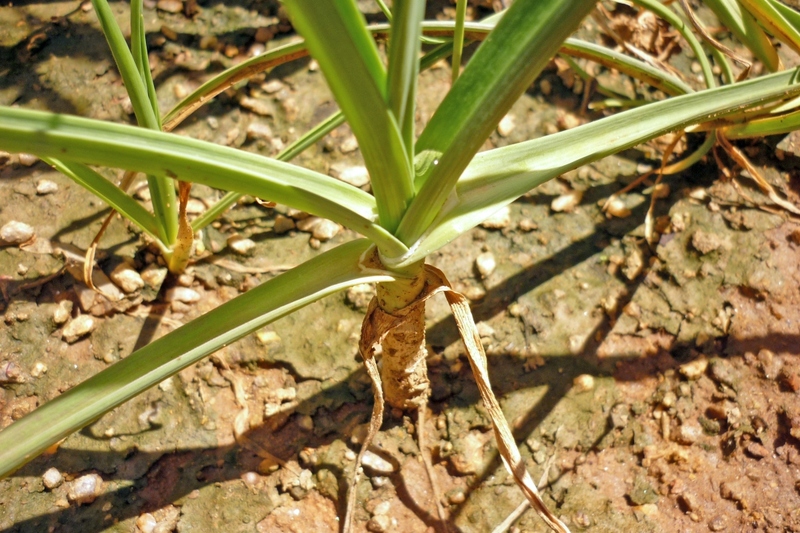 Pink garlic is sown in early spring and stands its own in regions with a harsh climate. It's not very high maintenance. 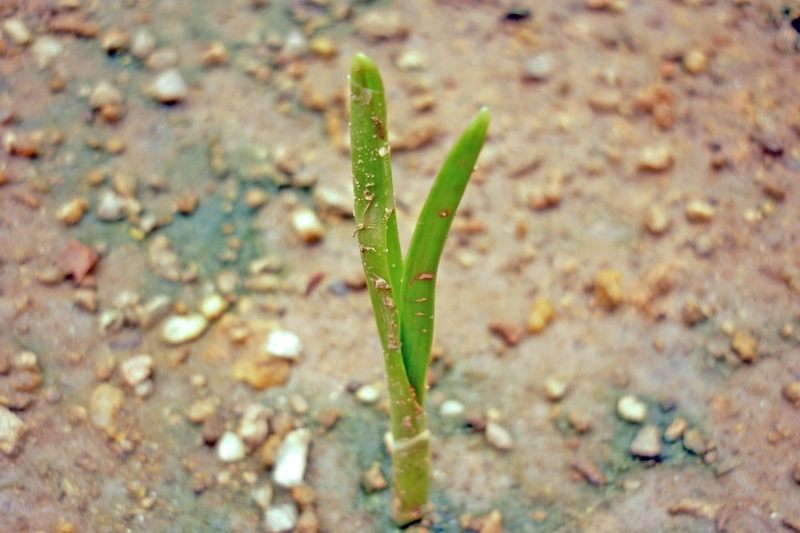 Spring-planted garlic likes a mixture of clay/limestone earth, given that it is well-drained and in direct sunlight. Unlike many vegetable garden species, it doesn't like recently conditioned soil. Plant from February to March and harvest when the stems begin to yellow. Allium sativum — garlic, for the layperson — is a species of perennial, monocotyledonous garden vegetable. It's powerfully aromatic and flavorful bulbs are often used in cooking. This information concerns pink garlic that is planted at the very beginning of spring. Plant them 10 cm apart in rows separated by 20 cm. Plant outdoors-specific bulbs, which are stronger and more vigorous. If your soil doesn't drain well, form a 5 to 10 cm high mound, which will protect the garlic from excess moisture if it rains frequently. Bury each bulb by hand, a few centimeters underground, keeping the top pointing upwards. Water once, enough to darken the soil. Water moderately in case of mid-summer dryness. Don't be fooled if the leaves turn yellow in the summer — it's part of their normal vegetative cycle. Therefore, make sure you don't water excessively. Once the leaves have turned completely yellow and the bulbs are well-formed, it's time to harvest your garlic! Harvesting is carried out by pulling up the stem at the base. Leave the heads in the sun for a number of days to let them dry. 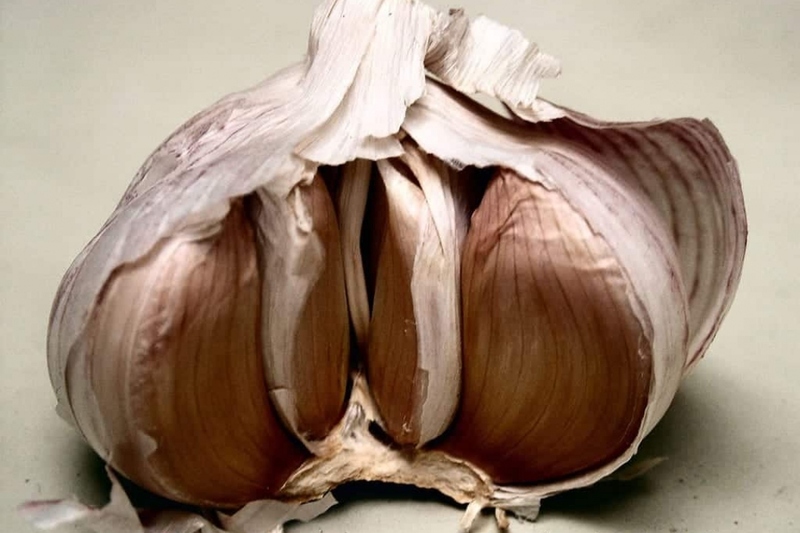 You may braid the stems together to store your garlic in an aesthetically pleasing manner.